Active life support for supple joints! Contains all of the benefits of the balanced broad spectrum blend of vitamins, minerals, trace elements and cod liver oil which are in Super Codlivine The Complete Supplement for optimum health and wellbeing. 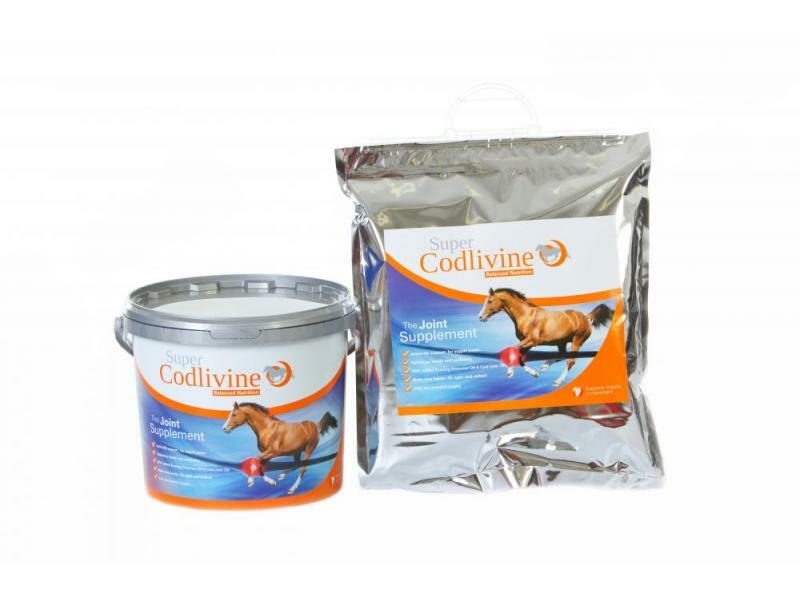 However, Super Codlivine Joint Supplement also has additional ingredients which are beneficial to ease stiffness. Contains essential nutrients plus evening primrose oil, MSM and glucosamine. Make your horse fit, agile and radiant. Grassmeal, wheatfeed, calcium carbonate, Cod liver oil, soya oil, di-calcium phosphate, sodium chloride, magnesium oxide, evening primrose oil, glucosamine, HCI, MSM. Oil 16,5%, Protein 9,5 %, Fiber 9, %, Ash 29%, Vitamin A 400.000ie, Vitamin D3 80.000ie, Vitamin E 800ie, Vitamin B1 250mg, Vitamin B2 200mg, Vitamin B12 3.200mcg, Niacin 500mg, Vitamin H (Biotin) 15mg, D-calcium pantothenate 200mg, Lysine 4.411mg, Methionin 1.402mg, Calcium 5%, Phosphor 1.5%, Magnesium 0.7%, Salt 5.2%, Iodine 30mg, Selenium 6mg, Cobalt 38mg, Manganese 1.540mg, Iron 7267mg, Copper 770mg, Zinc 2.000mg. Competition horses & breeding stock: 3 scoops (105g) per day. 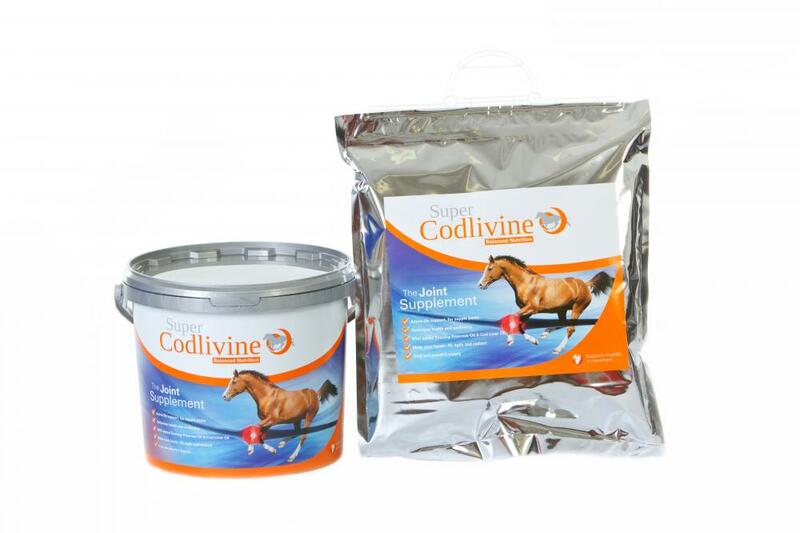 There are currently no questions for Super Codlivine Joint Supplement for Horses - be the first to ask one!